The first time I ever let serialised fiction worm its hooks into me, I was seventeen, and still firmly in the grip of my Stephen King obsession. His new book, The Green Mile, was released as a serialised affair, split into six small books. From what I recall, they were only available through WHSmiths in the UK, although I might be misremembering now. It was over twenty years ago, after all. But I loved/hated having to wait until the next edition came out, and even dimly recall waiting for WH Smiths to open on the day the final chapter of the story came out. Of course, nowadays everything is serialised, broken into chunks that you can consume at your own leisure, one Netflix box set at a time. Which got me thinking about my three novels and the way that people consume them. I read books in much the same way I always have, having flirted with ebooks and gone back to paper, reading a lot of the same authors I always have, while trying to expand my horizons. But there’s an awful lot of people reading these days who never buy a book. They read a chapter at a time on their phones on places like Wattpad, and you can see why. It’s little morsels, little hits from the fiction bong. So I’ve decided that it’d be cool to service those readers, too. 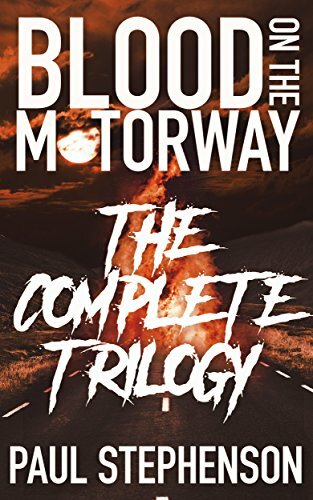 So as of this week, I’m launching Blood on the Motorway, the full series, on Wattpad. One chapter a week, until the whole damn saga is done. It might take a few years, but if you’re into little hits of the apocalypse, go here and start reading. Since it’s a chapter a week, I’ll also be adding some extra bits and pieces, and a link to the song that gives the chapter its title. Should be a lot of fun. I’m really looking forward to going through the whole saga once more. There's three chapters up already to get you started, and new chapters will be added every Wednesday. And hey, if you like it, give it some love, tell your friends, do whatever you can to get the word out.